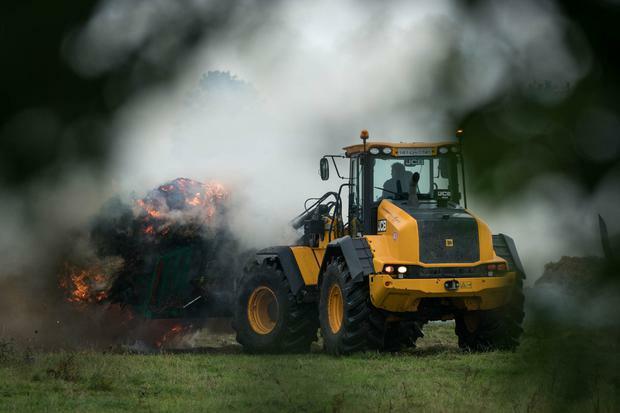 Winter fodder worries have sharply increased for a Co Mayo farmer following the loss of a substantial quantity of hay and straw in a fire on Saturday. Machinery was also destroyed in the blaze at Billy Walsh’s farm, The Crossroads, Kiltimagh Road, Balla. The alarm was raised around 1.30 p.m on Saturday. Three units of Mayo Fire Brigade, two from Castlebar and one from Kiltimagh, rushed to tackle the outbreak. Neighbours helped move fodder and machinery from sheds and buildings engulfed by the flames. As well as fodder Mr. Walsh lost a tractor and other machinery to the flames. 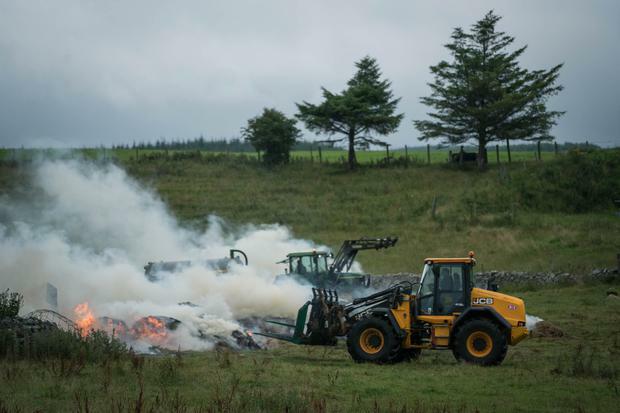 Mayo Chief Fire Officer Seamus Murphy has described the outbreak as “a significant farmyard fire”. He said neighbours had performed heroically throughout the day in moving fodder from the path of the blaze. Mayo IFA has expressed sympathy with the Walsh family on their losses.